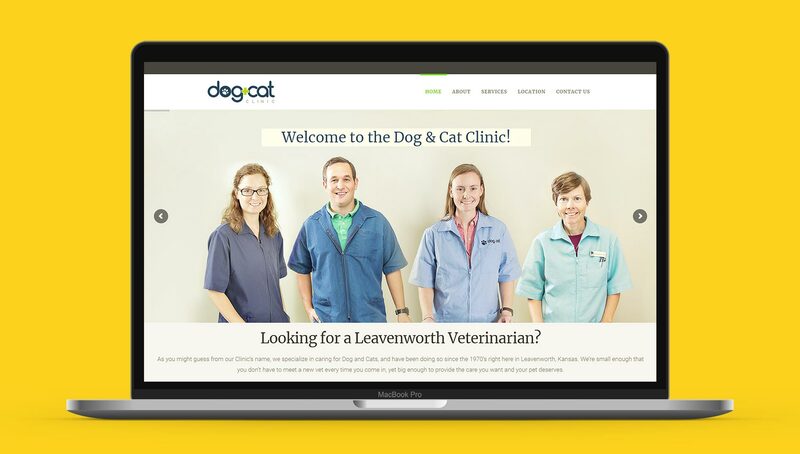 The Dog and Cat Clinic is a veterinarian clinic in Leavenworth, Kansas that specializes in, you guessed it, the care of dogs and cats. The clinic is well-loved and popular – which makes sense as Dr. Miller and his team of veterinarians are not only knowledgeable and caring, but very personable and likeable. 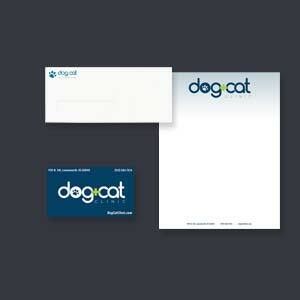 I had been working with Dog & Cat Clinic for a number of years, providing printed forms. When the much-loved Dr. Meyer retired, Dr. Miller became the lead Veterenarian. Dr. Miller knew that he needed a web site, and we sat down to discuss the project. Our conversation covered a range of important topics: domain names, the goals for the web site, an analysis of other pet care web sites in the local area, and much more – but the most important element from that meeting was a realization that a new logo was needed. The clinic did not have a logo, and a quality logo would serve not only as the foundation for the web site, but other projects as well (new building signage, imprinted BIC pens for handouts, etc.). I love logo projects. So many logos are old and cluttered and, while they can be modernized, it often has to be done incrementally. Starting from scratch? Exciting! Dr. Miller and his team did not have the time or interest in managing a logo design project, so I handled everything. Dr. Miller and I had a few lunch meetings to review concepts and see which style was resonating best. there were no specific design requirements. A focus during the project was on “simple”: every element of each potential design was carefully evaluated. A dog, a cat, a paw print, a circle, the medical “cross”, etc. Every design element would add to the overall “busy-ness” of the logo. A break-through occured with the realization that the medical “cross” symbol could be used for the “and” in “Dog & Cat Clinic”. Doing so provides a beautiful simplication reinforcing symbolism to the logo. The feedback was just what was needed and confirmed some of Dr. Miller’s own thoughts. The logo he selected is modern, clean, professional, and colorful. At the same time the design elements are flexible: the paw print can be within the “o” or separate. The word “clinic” can be centered below “Dog and Cat” or it can fit below “Cat”. All of this provides consistency (extremely important for branding) yet flexibility for use in various applications. The logo was the perfect foundation for building the web site. Key to this was the fact that the clinic was an established and well-liked business. Was the purpose good search engine rankings? While search engine rankings would be helpful (who doesn’t want to rank #1 in Google? ), it wasn’t as if SEO was a crucial/critical component to the Clinic’s success. SEO would simply add to the success the Clinic was already experiencing. Was the purpose of the site competition – needing a strong focus on what sets apart the Clinic from other local pet care facilities? No. Dog and Cat Clinic had (has) a great reputation and plenty of word of mouth referrals. But enough with a line chart showing rankings. 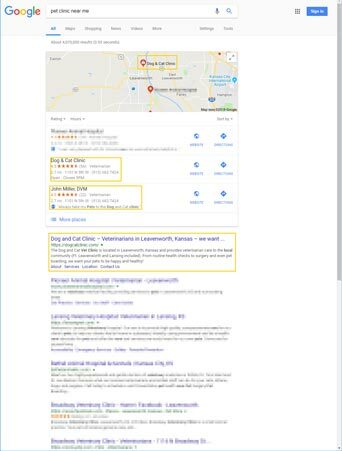 How much visual local exposure does Dog and Cat Clinic have when searches are being run in Google? Let’s take a look (below) of a few screenshots showing actual Google search results. The screenshots show the top half of the first Google search result page. 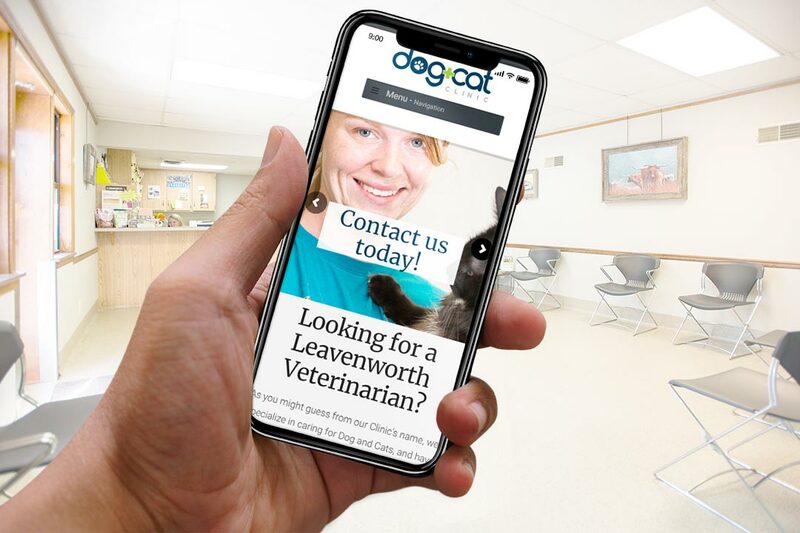 1) At this point, Dog and Cat Clinic is not running Google Adwords: if they were, they would have additional exposure. 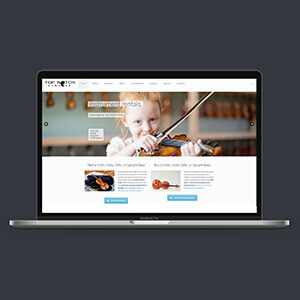 2) These are the results of simply building a quality small business website with SEO as a component: there have not been any search engine optimization campaigns or projects done for the web site. 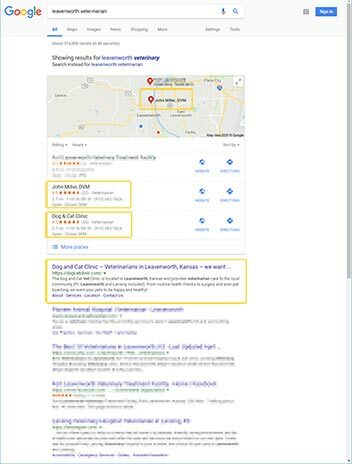 While I’m biased, I would say the following screenshots show the Dog & Cat Clinic has great visual exposure in local search.